Two North End natives have separately opened new businesses here in the past few weeks. Damien DiPaola has launched Vito’s Tavern on Salem Street while Elaine DiGangi has opened Heart & Sole, a boutique retail shop on Hanover Street. 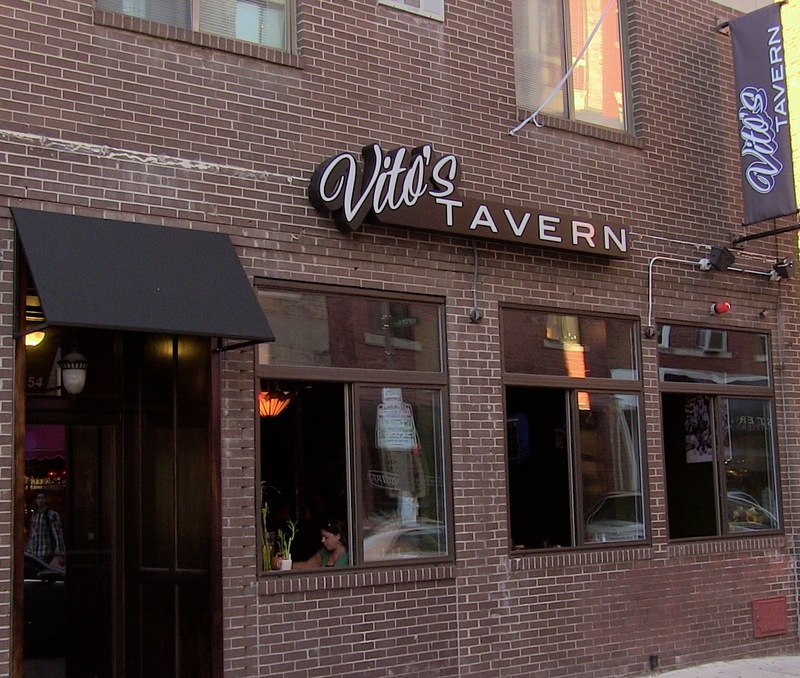 Vito’s Tavern at 54 Salem St.
Vito’s Tavern – Newly opened by Damien DiPaola of Ristorante Damiano, Vito’s brings a sports bar to the North End at 54 Salem Street. Urban Daddy posts a first look gallery. Leah Mennines at Feast TV posts a video clip. Also, see their Facebook page and new website. Both the North End / Waterfront Neighborhood Council (NEWNC) and the Residents’ Association (NEWRA) supported Vito’s beer, wine & cordials license transfer formerly exercised by Eclano Restaurant at the same location. The license has a 1:00 AM closing hour, seven days. 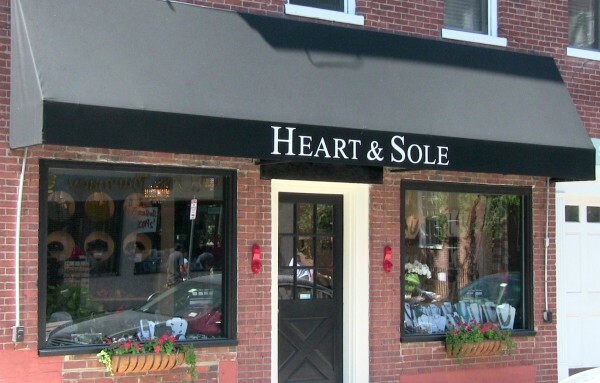 Heart & Sole – Elaine DiGangi has opened her new boutique at 354 Hanover St. offering jewelry, shoes and accessories. The shop is the former location of the North End Gallery, across from St. Stephen’s Church. Heart & Sole is open Monday through Thursday 11 am until 7pm, Friday and Saturday until 9pm and Sunday Noon to 6pm. SceneBoston’s Chesea McLeod writes about the opening on her blog. See the Heart & Sole Facebook page.